Go ahead, Ask Key Anything! This season, we’re calling on you to ask us questions – no need to raise your hand, but hey, we appreciate the politeness. We know you’ve always wondered, so let’s hear those Q’s! Some weeks we will feature a certain department, and other weeks it’s a free-for-all! 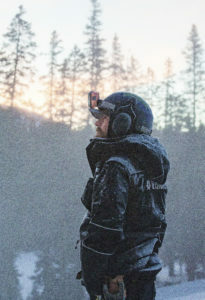 Anything from what time do patrollers arrive to the mountain in the morning to where on earth do we store the moguls in the summer? It’s a big mountain out there, let’s explore it together. Check our Instagram story every Sunday to submit your questions. Answers posted on Thursday. You’ll find the answers from all the previous weeks below as well. First timer looking for advice? Check out our guide. Keep the questions coming and Ask Key Anything! This week, we asked our Mountain #KeyPeople your questions! It is amazing. We get to see some incredible sunsets and sunrises too! 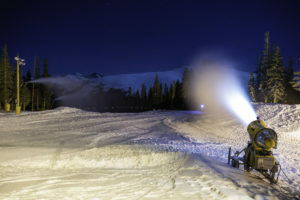 All night long – grooming starts by 4 pm and takes every minute until opening at 830 the next day. We hire groomers that have excellent night vision and the snow cats are all equipped with lots of lights. We add reflective tape to objects to help us see them. Occasionally we do have things that left in the way and the snow cat typically wins the battle every time resulting in damage to signs and fences. Steep runs are exhilarating – especially that first drop in. Putting the surface back together for a great guest experience the next day. Just like skiing moguls – it can be really fun or it can be a lot of work! “Where the Streets Have No Name” by U2 or “Radar Love’’ by Golden Earring, self improvement books on tape, or any song by TayTay. For emergencies, call ski patrol at 970-496-6911 and for non-emergencies dial 970-496-3100. In addition to OEC and EMT certifications, we require amazing guest service. In my humble opinion, my brain! Skiing and snowboarding are safe sports, but are not without elements of risk. Guests should know and observe the “Your Responsibility Code,” which is the best way to provide a safe skiing experience for yourself and others. There is a lot of work that goes into safely opening up any trail. Some of the big areas we handle are ensuring proper padding, ropes, signage and any necessary markers are in place. A NICE DAY AT THE OFFICE! It’s pretty amazing! I love what I do, and Keystone is about as good of an office as it gets. I really enjoy all the people. From meeting the variety of guests who visit Keystone to our entire Ski Patrol team, it’s what I like the most about my job. It’s a unique perspective of the resort. It’s quiet. It’s calm. And it’s also an important aspect of the job. I don’t know if there is such a thing as a typical day. Most often though, it consists of being a visible presence on the mountain and assisting our guests. We certainly get our fair share of runs in, but there’s a lot more to the job than simply skiing or snowboarding. They sure are adorable, huh?! I don’t believe it’s easier, but it’s definitely different. 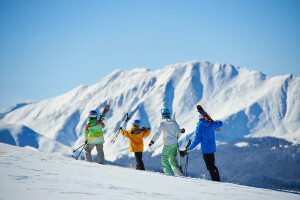 We have a hiring clinic every spring (that is to be on Ski Patrol the following winter), be sure to regularly check our career website at https://jobs.vailresortscareers.com/. Yes, we do welcome snowboarders on the Keystone Ski Patrol! We do not have a junior ski patroller program at Keystone. We’ll look for you in a few more years though! We do not require a specific degree to be a member of Ski Patrol, so I recommend to study something you are passionate about. We have patrollers with just about every degree imaginable on the team! Hard work, perseverance, determination and passion. All skiers and snowboarders should know and observe the “Your Responsibility Code,” which is the best way to provide a safe skiing experience for yourself and others. I’m partial to The Outback. It’s Keystone’s furthest of three peaks, and offers stunning views, hike-to and snowcat options, great tree runs, and a plethora of hidden powder stashes. If there’s someone who might know the mountain as well as Ski Patrol, it’s our Ski & Ride School instructors, so I always recommend a little guidance. 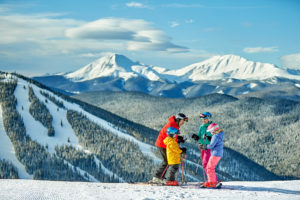 Check out our new Keystone Adventure Guide program, they not only will show you where to take your first advanced tree run, but they’ll show you all the goods and secret stashes https://www.keystoneresort.com/plan-your-trip/ski-and-ride-lessons/category/guides.aspx. Most often, you’ll find me spending time with my family, simply relaxing, or exercising. I’m a salad type guy. You’re welcome. We’re happy to help! In the summer, I am heavily involved in Keystone’s Bike Park. I oversee the Bike Park Patrol among other areas. Scout, because she belongs to me! There is no smoking of any kind (tobacco, marijuana or e-cigarettes) permitted on our mountain as well as in any of our owned and operated facilities, including restaurants, lodges and hotels. They are all pretty fun, but March is one of the best – it’s also one of the snowiest, on average! First thing’s first – what is Kidtopia? It’s many things, but all things fun! Kidtopia Headquarters is located in Expedition Station, River Run Village. There are also free daily Kidtopia activities! Don’t miss our weekly parade on Saturdays, starting at 4pm at Gondola Plaza in River Run Village. With a scenic gondola ride ticket, lift ticket, or ski pass, kids of all ages come to the top of Dercum and play in the snow fort at no additional cost! Kidtopia Headquarters is in Expedition Station in River Run Village. It is next to the Dercum ice rink. Come visit us 9:30 a.m. – 2:30 p.m.
We have three play rooms for parents and kids at Kidtopia HQ with a wide range of toys for kids ages 3-8. If your baby is enchanted by music, try Listen & Learn: Music 101 – Tuesdays, 11 a.m. – 12 p.m.
We sure do! Check out details and for online booking here. 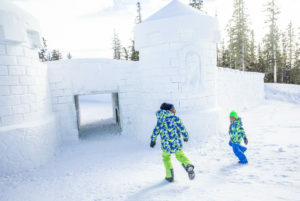 Kids of all ages are welcome to play in the snow fort! Check out the slides and the cupcake car – a request of one of our young snow fort planners! If referring to Kidtopia Headquarters, you’re welcome to peek your head in, but toys and play areas are designed for kids accompanied by an adult. Planning for the Snow Fort started in March. The fort itself took about 2.5 weeks to build from start to finish. The World’s Largest Snow Fort is atop Dercum Mountain (yes, by mountaintop tubing). While playing in the snow fort is completely free to all guests, you still need to have a valid mountain access product to get up the mountain. What does that include? A season pass, scenic gondola ticket, or day of lift ticket. Hopefully, yes! The Snow Fort will be refreshed in February and will stay up as long as mother nature allows. We make every effort to maintain the fort as long as possible. Sun and warmer temperatures later in the season do start to impact the fort and unfortunately it doesn’t usually make it all the way until April. We have two weeks of special events left this season! Do your kids love cooking? Having fun with food? The Kidtopia Culinary Festival is February 8-15, with family cooking classes, a FREE Play with Your Food Party and a special Valentine’s Day celebration at Alpenglow Stube with Ripperoo! All the delicious details here. For daily programming schedule, click here! Ready to turn the beat up? Listen & Learn: Music 101 on Tuesdays, 11 a.m. -12 p.m. Ripperoo’s Village Parade starts in Gondola Plaza at 4 p.m. on Saturdays. Explore the snow with Family Snowshoeing 101 – Thursdays, 2-3 p.m. at the Nordic Center. Snowshoe with a guided instructor and rent equipment for free. Tired from a long day on the hill? 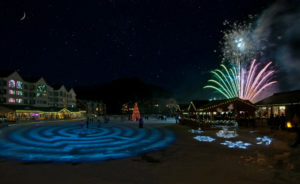 Chill-lax with Winter Movie Matinee with fresh-popped popcorn – Mondays, 4:30-6 p.m. Or, try Craft-er-noon & Face Painting, Saturdays, 12:30 -2 p.m.
Don’t miss the fireworks every Saturday in Gondola Plaza, River Run Village at 7 p.m. or 8 p.m. after March 10. View the full schedule and descriptions here. Join us for FREE Kidtopia daily programs. See schedule here. Kids and parents can play together at Kidtopia Headquarters 9:30 a.m. – 2:30 p.m. every day. (located in Expedition Station, River Run Village). 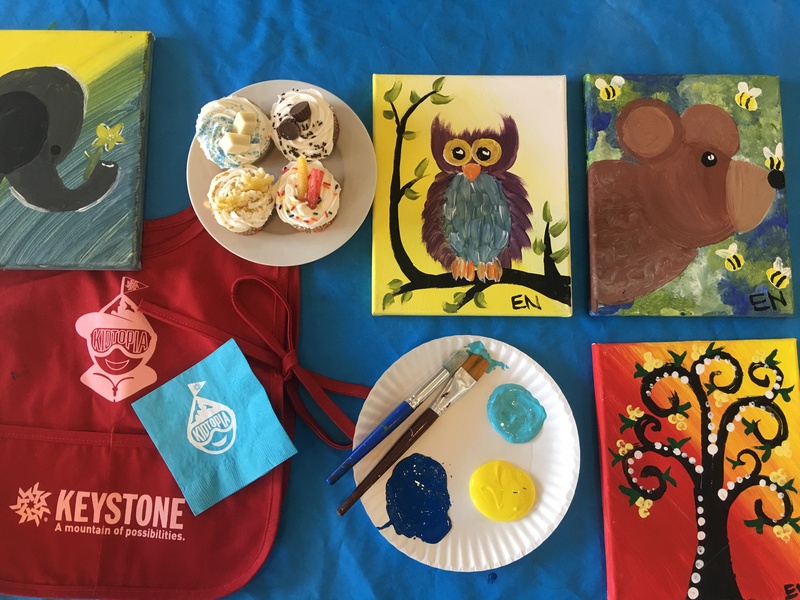 The paid program is Cupcakes & Canvas on Thursdays from 4:30-5:30 p.m. – $15 per person for a painting class with an instructor and a delicious cupcake. Reservations can be made with our Play Experts – 970-496-4386. We have both a mountaintop tubing hill and an “old fashioned” tubing hill at our nordic center. Both are a paid activity and unfortunately sledding is not allowed on the mountain for safety purposes, but there are several area hills! Season pass holders do receive special discounts at some of our owned/operated outlets. We often have availability up to 48 hours in advance, but during peak times, including the upcoming President’s Day Weekend and Spring Break weeks we’d suggest booking as far ahead as possible. Please note, we only take online reservations up to 48 hours in advance, but you can always call for “last-minute” availability. In our opinion, any day that ends in “y”. But if you’re able to ski outside the traditional school calendar (midweek, non-holiday) you’ll often feel like you have the mountain to yourself, smaller lesson class sizes in Ski School, more activity flexibility/availability, lower prices and more. Upcoming peak periods include President’s Day and Spring Break in March. Depends on who’s answering, but a native Bostonian has the keyboard, so Go Pats! We’ve had more than 3 feet of snow this month, and as of 1/25 we have received 128 inches (and going up!) of snow for the season. The gettin’ is good, c’mon out and play! Enough to make purrrrrfect groomed trails every night, they really like to get out and play. March is often the holy grail of Colorado skiing–fresh powder and bluebird days with many of those legendary 300 days of sunshine. The first week is typically before the peak of Spring Break week and we host our Kidtopia Music Experience providing added animation for families. In one of our Ski & Ride School lessons, of course! Hang out with our amazing instructors in a lesson. Lessons are available for all ages and abilities and more advanced skiers and riders can focus on technique and improving skills. Half day private lessons are available. Subject to U.S. Forest Service approval, we plan to upgrade snowmaking to a state-of-the art, energy-efficient system that will allow us to move our opening day up by three weeks, and playfully compete to the be the first resort to open. Hopefully, yes! We make every effort to maintain the fort as long as possible. Sun and warmer temperatures later in the season do start to impact the fort and unfortunately it doesn’t usually make it all the way until April. 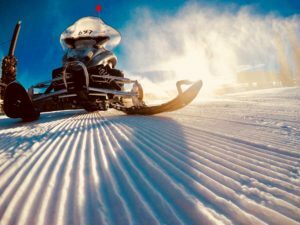 This week we caught up with Activities & Dining manager, Katie Juffer, to answer your questions about tubing, skating, and more! Q/As IN THE VIDEO: Answered in 1 min! To gain access to our snowshoeing trails, stop by the Keystone Nordic Center located at the Keystone River Course and speak with our experts! Just remember that there is no snowshoeing on any of our ski trails! For ice skating on the Keystone Lake admission is going to be $15 per adult and $10 per child, at the Dercum Ice Rink admission for all ages is FREE! If you have your own skates you are welcome to bring those otherwise rentals at both locations are $15 per adult and $10 per child. We do not have a restaurant in the groomer, however, if you participate in our Guided Cat Skiing activity you will get to ride in the groomer to Alpenglow Stube for lunch. 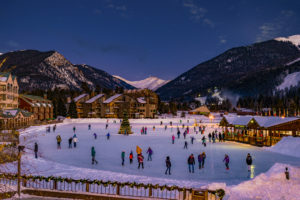 We would suggest going ice skating at the Keystone Lake then warming up with some appetizers and drinks at the Bighorn Bar and Bistro in the Keystone Lodge and Spa! We love LOVE! Our weddings team would be happy to discuss options for your special day: KeystoneWeddings@vailresorts.com. Many of our restaurants are available for celebrations, like weddings, with buyout options. Our favorite vegan option are the Asian Bowls at the Summit House. Most of our dining outlets do have vegan options as well. For our top dining outlets we suggest trying any one of our five signature dining outlets including Alpenglow Stube, Der Fondue Chessel, Ski Tip Lodge, Bighorn Bistro or the Keystone Ranch. Keystone has some great expert gladed terrain, particularly in the Windows (now open! ), on the Outback and in North Bowl. This is all in-bounds terrain. Our longest trail is Schoolmarm at over 3 miles! The Ranch is a great option for Keystone dining, to get more insight from our other guests on their experiences visit opentable.com! Our sleigh rides for both our dinner and scenic rides continue all the way to March 31st! We offer snowmobiling tours through our friends over in Leadville, Colorado at White Mountain Tours. Call our Play Experts at 970-496-4386 to find out more information about the tours we offer! Guided is $360 per person, if you would like to have a private tour it will cost $3,960. The best lunch spot for a midday break would be to go and try out the new menu at Timber Ridge. Homemade soups, wood fired pizza and a ramen station are just a few of the delicious selections to choose from. Timber Ridge is located on North Peak in the Outpost. How long are the I-70 jumps? Why can’t you get to A51 from the summit? We asked your questions to A51 Terrain Park Manager, Steven Duke. And here are your answers. The trail directly accessing A51 from the top of the mountain is our main green run. We found mixing experienced park riders with guest trying to learn is an unsafe first time experience. We understand it’s an extra step to get to A51 for park riders but we have also seen marked improvement in safety by separating the two user groups. Our half pipe is not open yet but we are in the process of building it! I feel you, there’s nothing like a good rainbow rail. We will add it to one of our upcoming builds! Daniel A51 has everything from beginner to advanced features for you to enjoy. Start in our easy street park and work your way up from there! I didn’t grow up riding in Keystone so I don’t remember the first Park. I do remember seeing industry leading progression coming out of Keystone over the years. Progression like the BBQ rainbow, American Flag wall ride, bus rail and huge snow features during Transworld’s launch event. A51 history really made an impression on me as a passionate park rider. And I am humble to leading a park program with such legendary roots. Generally, we start with the minimum distance a Snowcat can groom out the surface between the jumps without having to turn out too sharply during the process. After that we may increase the distance based on the targeted size of jump line. For instances a small jump line may be closer to the optimal grooming distance than a larger jump line. Thanks for the feedback. We will additional simple rails as the season progresses. That rumor is not true! A51 will be here as long we have guests like you who support it! Thanks for your question. We don’t hold a lot of competitions in A51. Competitions tend to close sections of park and we want our parks available whenever guests are here to ride. Thanks for the question. Night Park had a lot of operational challenges with maintenance and lighting of features. For these reasons we choose to discontinue access to the terrain park at during night riding. Thanks for asking, our next moves are building Main Street, Mini Pipe, and a re-fresh in Alley Park. Yes, our Ski Patrol team does a variety of control work with ski cutting being the primary method in the Bergman Bowl. There’s not a set threshold. We’re always looking out for the safety of our guests and employees and do need to consider worst-case scenarios, like if a lift were to stop. The gondola comfortably fits 6 guests at a time. No high alpine surface lifts at this time. For the first time this year we built the fort with an internal team. We make and pile snow in the area and then our A51 Terrain Park team began shaping the fort. A variety of machine and hand work was utilized. And then a speciality team was brought in to do some of the amazing snow carving. 11,980 feet tall, 100% open, snowy! It’s tree runs and natural conditions, as the majority of runs are not groomed and offers more difficult and most difficult terrain. The base elevation of Keystone Resort is 9,280 feet and our summit elevation is 12,408 (located in the Erickson Bowl) and each of our three peaks (Dercum, North Peak, The Outback) have an elevation just shy of 12,000. Water, water, water! Before and during your trip. Depending on where you’re coming from, if possible, a night in Denver can help ease the transition. Keep caffeine and alcohol consumption to a minimum. Some people say eating more carbs can be helpful as well and some find extra oxygen helpful–there’s a small oxygen bar at the Keystone Lodge & Spa and you can buy “canned” oxygen at many local outlets. There is a open area with tables and chairs and nearby food and beverage options. We also suggest checking out Kidtopia HQ in River Run Village. 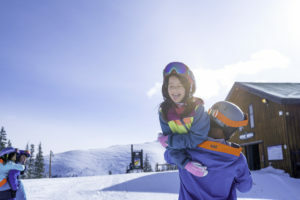 In November, Vail Resorts released a progress report surrounding our company’s ‘Commitment to Zero,’ which you can find at www.epicpromise.com. Absolutely! 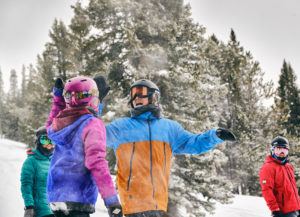 Check out mountaintop tubing, ice skating, paint your own pottery at Ready, Paint, Fire, or maybe a service at the Keystone spa! As you said, every kid is different. Schoolmarm is more than 3 miles long, so ensure little legs are prepared for that. We might suggest starting with a Schoolmarm run from the top of Peru lift to the bottom to see how they do. Our grooming staff primarily operates when we are closed, with two graveyard shifts every evening. Sometimes a little exploration can go a long way! Check out Jackwhacker, Gassy Thompson, Go Devil, Anticipation, Porcupine for some fun runs that may be a bit off the beaten path. There are certain trails that we groom every night. Additional trails are determined daily based upon need, such as inconsistencies on the trail like unevenness. Like a good bowl of cereal, everyone has their favorites. Fan favorites include North bowl for easy access from the Outback chair and Indy bowl for wide-open turns. We love late February and early March. That’s open for interpretation, but we have some great blue runs on all three peaks. Some favorites include Spring Dipper, Last Alamo and Oh, Bob. Schoolmarm! Over 3 miles. Feel the buuuurn. We can’t think of a better gift–thank you for sharing our playground with your family. 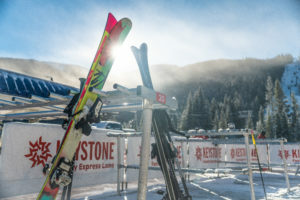 We have a whole page of first-timers advice here: https://www.keystoneresort.com/explore-the-resort/about-the-resort/first-timer-guide-to-keystone.aspx. And feel free to email KeystoneSocial@vailresorts.com with any specific questions. Thanks to our own history buff, @stennyparks, Keystone was named in the 1870’s by gold and silver miners from Pennsylvania. These miners were homesick and they paid tribute to their hometown of Pennsylvania, nicknamed the Keystone State, by naming Keystone Mountain. In the early 2000’s, the official designation of Keystone Mountain was moved up towards Bergman Bowl, and the old Keystone Mountain was renamed what is now call Dercum Mountain to honor Max Dercum, one of Keystone’s founders, enshrinement to the American SKi Hall of Fame. We strongly, strongly recommend it, but it’s not mandated, except for children in lessons. So glad our amazing Patrol team was able to assist you, although we are sorry to hear you were injured. Feel free to email KeystoneSocial@vailresorts.com and we’ll be sure to get it to the right person. It’s open top to bottom! Don’t forget, you can only access it via the Peru lift. Holidays when schools are on break tend to be our busiest–between Christmas and NYE, MLK and Presidents day weekends and Spring Break weeks in March. But with 3000 acres of terrain, particularly more experienced skiers can almost always find some elbow room! We might get in trouble for this one 😉 We love them both! Some of our most challenging terrain, we do need a LOT of natural snowfall to ensure safe access to this area. Mother Nature has been VERY good to us this year and we hope with continued natural snowfall we have it open soon! Great question! We love the top of Schoolmarm overlooking Lake Dillon and the county, Top of Outback chair and the keytop overlook for views of Breckenridge. But we like to think there’s not a bad view on the mountain! 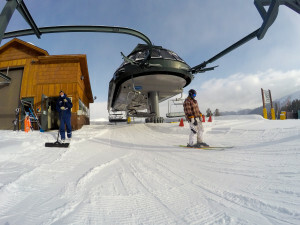 Head over to https://www.epicmix.com/EpicMix-Photos.aspx and it’ll walk you through the process. Thanks for visiting! Looking to take some shots? If you’re local, send us an email at KeystoneSocial@vailresorts.com with some recent work, rates and availability and we can chat! We love sharing our guests’ content–make sure to tag Keystone and use #KeystoneMoments or #KeyPow so we see your content! More than 7 feet so far this season! A small elephant’s worth! 87” or more than 7 feet–and 9” in the last 7 days! It’s been a GREAT season! We’ve had more than 7 feet of natural snowfall, almost the entire mountain is open, all of our activities area available and it’s F-U-N on and off the mountain! We’re not ready to start counting down yet, but we have about 100 days until April 7th, which is our planned closing day–but you never know what could happen! Our weekly Kidtopia Meet the Avy Dog is on Tuesdays, but stop by Patrol Headquarters at the summit of Dercum Mountain (around the back of the Summit House) and typically a furry friend or two is around! They also like to play fetch on the mountaintop. The majority of parking in Keystone is free for the entire season. The change to free parking in our Mountain House base area will improve the flow of traffic for guests seeking up-front paid parking in the Mountain House base area, with continued alternative options for complimentary parking and Mountain House base access still provided. No way, jose! We hate those pesky rumors. The majority of parking in Keystone is free for the entire season. A variety of pass options are available annually with varied access to our Vail Resorts’ properties. Lower priced passes do have blackout dates associated. Absolutely. Unfortunately we can’t promise every day will be a powder day, but private lessons are available for all ages and abilities and will be personally tailored to individual skills and goals! SNOOOOO-Good! See what we did there 😉 9” and counting in the last 7 days! Unfortunately there is no indoor vantage point of the tubing hill. 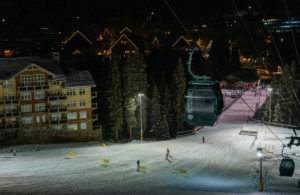 Located on the Summit of Dercum Mountain, every guest would also need lift access-we sell foot passenger tickets too. There is a heated yurt located at the tubing hill, but it doesn’t have windows out to the hill. Can’t wait to have you!!!! We sure hope so! We hate to be greedy, but Mother Nature has been spoiling us! The holidays are here! We answered your questions to celebrate at Keystone. You’re right on time for the Kidtopia Mountaintop Spectacular! 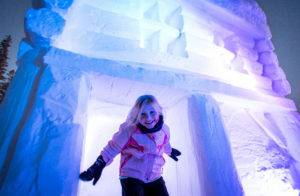 Check out all the fun here, which includes two, yes – two!, firework displays and the lighting of our world’s largest snow fort. Also, you can ski or snowboard until 8 p.m., or fuel up at one of our many dining options! Every Saturday at 7 p.m. in River Run and on NYE at 9 p.m. in Lakeside Village. Yes! 9 p.m. in Lakeside Village. Torchlight Parade at 6 p.m. in River Run. Oh, and they are freeeeee! We offer free hot chocolate every Sunday during Kidtopia’s Fireside Cocoa & Coloring. For any adult who purchases an evening foot passenger lift ticket, that also includes a free hot chocolate. And hot chocolate’s equally delicious cousin, hot cider, is free and available at the top of Dercum Mountain at the Guest Services hut. We only know of one Mr. Santa Claus, and he has been spotted quite frequently at Keystone. Where will you spot him? We have seen quite a few Santa suits swooshing down the mountain too – they must be ambassadors of his or something? You can link up, but no lap riding unfortunately. For the riders who aren’t ready to take on the big tubing hill just yet, we have and old fashioned (ie, no lift) tubing hill at the Nordic Center, which is perfect for smaller children. Our lift tickets aren’t sold by any third parties. 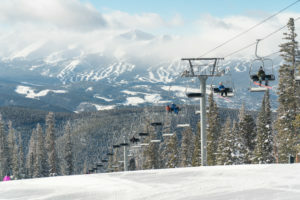 The best available rates are always booking online at KeystoneTickets.com. If you can book at least 7 days in advance, those are our lowest rates, but you’ll also save off window prices up to the night before! 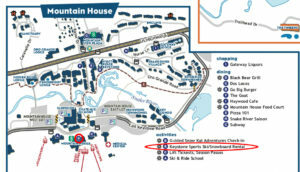 Keystone offers a free in-resort bus system and that’s the best mode of transportation. In Summit County, there are a limited number of Uber and Lyft drivers, as well as the free Summit Stage bus. Pizza, french fry’s … no we’re not talking food, but we think something just as sweet – the Keystone Ski & Ride School! We went to Nicole Brandli, @nlindsey16, a children’s ski instructor based out of our River Run base area. She’s got the scoop on all things Ski & Ride School. Prices vary based on age and private vs. group lessons. You’ll always find our best available rates online, and if you book at least 48 hours in advance you’ll get our lowest rates, plus fast check in (win win!). At least 48 hours in advance for the lowest rates! We don’t at this time. 3 years old and potty trained! Private lessons start at age 3 and group at age 3. We love little rippers! A full day is 10 a.m — 3:30 p.m. and half-day lessons start at 1 p.m. We always try to keep groups small, but sizes vary based on lesson type (beginner, intermediate) and date (holidays are busier, mid-week much less so). 6-7 year old is kind of the sweet spot, but it absolutely depends on the kid. And it’s NEVER too late! Yep, for adult group lessons (p.m. only) and private lessons. GREAT question–definitely talk to our awesome team at time of check in. And even throughout the day, we can always move you around to ensure the best placement and experience. This is super important to us to ensure the best experience and progression! Absolutely! From first turns to perfecting trees, bumps and powder, we have lessons for all abilities! You’re NEVER too old! We even have instructors ages 20 to nearly 70! Absolutely! And we always do our best to honor requests, but can’t always guarantee. Sometimes instructors need a day off or have conflicts. There aren’t, but give our team a call. Some of our instructors have definitely been through this kind of injury (800) 255-3715. Yay! We love our KeyFam 🙂 Group sizes vary by age, ability and timeframe, but never more than 10-12 per instructor. Absolutely! We welcome kids ages 3 to 93, and beyond! Yes and yes! Ages 3-4, 5-6 and 7-14 are grouped together, but also separated by ability. If you book a ½ day private lesson you can do a morning session, but our adult ½ day group lessons are afternoon only. Varies a bit by age and location (River Run or Mountain House), but it’s typically between 11 a.m. and 12 p.m. and either at the Mountain House Ski School or Summit House. We are ALWAYS happy to talk snow fort. It’s one of our favvvvorite things! This year our awesome #KeyPeople built it, which is super cool. It opens THIS Saturday (12.15) on top of Dercum Mountain. You do need a mountain access product– lift ticket, season pass or foot passenger ticket to come play. But the climbing, sliding and smiles are all FREEEEEEE. Protein, protein, protein, gotta keep that energy up! Oh, and coffee. We like coffee! We are on a roll with our Ask Key Anything! You asked, and Key answered! Get ready to hit the park – A51 will open Friday Dec. 7th. They are!! We love them both; the ice rink in Dercum Square is intimate and provides an urban skating vibe in the Village setting. Keystone Lake is HUGE (5 acres!) and feels more like old fashioned pond skating, although we do maintain the ice. How’s your triple toe loop? Fri-YAY! We’ve been working on this big, wide and sometimes steep trail and it will open Friday Dec. 7th. Yes, our friends at Epic Mountain Express would love to make that trip safe and easy! Visit https://www.epicmountainexpress.com/ for pricing and more info! Depends on the day, but especially if we’ve had fresh snow, the River Run Gondola lot can be full before 9 a.m.. Check @KeystoneParking on Twitter and utilize the shuttle parking lots off Hwy 6 and Montezuma Rd. for the easiest way to the lifts! Second star to the right and straight on till morning. Well, it’s not technically Never Never Land, but it is an amazing indoor play and activity spot for kids. Best suited for 1-6 year olds, we have a variety of toys and games. Plus, don’t miss our daily Kidtopia activities. Peep the full schedule at Kidtopia.com. Oh, and we’re actually located in the Expedition Station building, next to the Dercum Square ice rink in River Run Village. Fresh snow sparkling in the Colorado sunshine and that crisp mountain air. One of the hardest questions to answer. We love local favorite Inxpot (in River Run Village) for a quick breakfast–and caffeine fix–before heading up the lift. The reimagined Stube is an amazing on-mountain lunch experience with a social atmosphere. Have you ever tried a flight of BACON before!?!? Go Big Burger is a new spot at the Mountain House just steps from the slopes and we can’t get enough of the mouth watering burgers and shakes! 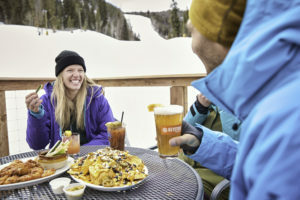 If the skiing is too good and we skip lunch and need an apres snack, the nachos at 9280’ taphouse are our go-to. Dinner is a tough choice; the Sleigh Ride is a one-of-a-kind experience with delicious food. But the fun at Fondue–not to mention the two gondola ride trip up–is can’t-miss for families. The steakhouse inspired menu at The Ranch makes us feel right at home with Colorado favorites. And the intimate and award-winning Ski Tip is our top choice for date night, a celebratory dinner or just a “treat yo self” night out. Dinner by the fire is the BEST way to finish a day in the mountains. Hungry yet? We sure are! You betcha! Stay two or more nights with Keystone Resort and kids 12 and under ski freeeeeee. If you’re new to trees and bumps we suggest taking a lesson with one of our pros who will keep you safe and comfortable on new terrain. Better yet, they’ll show you their favorite local spots! But Keystone is known for our bumps on North Peak (check our Instagram for a recent post), but beware, we’re also known for our long runs! Every Saturday at 7 p.m. (or 8 p.m. from March 10th on). Psssst, did you know that if you’re night skiing or dining at one our mountaintop outlets you can download on the gondola and fly over the fireworks? It’s an amazing point of view for one of our favorite weekly traditions. Load the Gondola at the top of Dercum mountain at about 6:55 p.m. for the best viewing. 48 years young–we think we look pretty good for our age! And we can’t wait to celebrate the big 5-0! Woop woop. Here’s our question–are you ready for mountains of FUN?! Most of our water is from –and returns to– the Snake River. We work closely state regulators on this important issue. Yes, ma’am. We even added one of those amazing water bottle refill stations at the Summit House. Cheers to staying hydrated! Is that snow you’re making even real? Thank you for all your snowmaking and related questions. We went to our top snowmaker, Todd Green, to get the inside scoop on all things snowmaking. Hint, it’s real snow! Crystal structure certainly plays a part, so gold star for you! It’d take quite an eye to identify the subtle differences, like looking at a grain of salt vs. sugar. But the crystal structure is indeed different and natural snow crystals tend to be delicate and intricate while man-made snow crystals are more rounded and simple. On average, we begin making snow in the middle of October. But long before we receive the cold temperatures needed to make snow, we spend our summer days preparing and prepping for the winter, which includes a lot of maintenance and planning. Fake snow? There’s no such thing! We certainly understand your question though, so we’ll let it slide. ;p Speaking of sliding, we make enough of the good stuff – even if man-made, to open a trail with an average of 18 inches of snow. Generally, we are done making snow in January. Yeah, that’s not a bad way to get around. Also, well, the skiing and snowboarding on our finished product. We refer to it as product testing and we simply enjoy being out there skiing and riding just as much as you all! This question took some googling on my part. But now that I know you are referring to the sixth planet that is a world of snow and ice, then just like this fictitious Star Wars location, making snow in the real life Keystone requires us to layer our clothing and to stay dry. Modern synthetic fibers work great in snowmaking conditions. I can’t speak for how for those Star Wars folks stay dry though. SUN’S OUT. (SNOW) GUN’S OUT. We have almost 700 snowmaking guns that cover more than 600 acres of snowmaking capability. 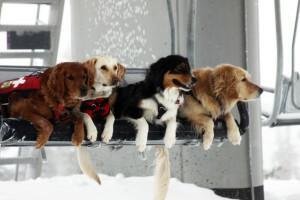 If that’s not a chairlift topic to share with some newfound friends, than I don’t know what is? 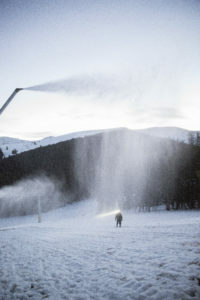 Is your snowmaking gun running? You better catch it! I’m full of jokes. Of our nearly 700 snowmaking guns, we can run more than 100 at a time when conditions are just right. Did you know that there is such a thing as ‘frost free’ depth? Yup, it’s a real thing and so we bury our supply lines so far down that they are located as such a depth where the ground does not freeze. Again, science – it’s everywhere. My snowmakers like making snow on our trails that contain automated snow guns because these be adjusted by a click of a computer mouse. Technology, science … have I mentioned that comes in to play just a bit? But, this system of automation allows our snowmakers to concentrate on making sure the quality is the best that it can be. It is. I believe our snowmaking team are some of the hardest working members of our mountain operations team. Snowmaking operations are 24 hours, 7 days a week when conditions allow and so we always have someone working. There’s a lot of tough jobs on the mountain across departments, but we all do it because we love the same things you all do – skiing and riding! It’s white, and cold, and falling all over the place. No? Okay, seriously though, it’s great! We have been consistently making snow across the mountain since the middle of October. We’ve also received a lot of natural snowfall, and the dual efforts of snowmaking operations and natural snowfall allow for some other key people (like Ski Patrol, Grooming, Lift Operations) to do their thing and get more of the mountain open quicker for you all. “Can you bring that snow to my local mountain?” – @taylor_michielli_ We’re not exactly hoarders, but we’ll be keeping all of our snow. However, we’re happy to share it – you just have to come visit us! This sounds like the start of a great joke – unfortunately I’m drawing a blank for a great punch line. So, science it is! The crystal structure is different. Natural snow crystals tend to be delicate and intricate while man-made snow crystals are more rounded and simple. We are just like Mother Nature and the best ingredients for snow are cold and water. We can’t help you out with snow in Arkansas, but we know of a place where there is plenty! Hint hint 😉 Come visit us! Soon! We are working on A51 as we speak, specifically The Alley to Lower Main Street. Be on the lookout for that opening by Dec. 7, and in the meantime we have our early season A51 terrain park setup on the top of Schoolmarm. It depends on the weather conditions, and the colder and drier (low humidity), the more snow we can make. Get this – if we have our snowmaking system at full capacity at 25 degrees temperature, we could cover 22 football fields in 24 hours with a foot of snow. We conclude snowmaking operations when we have made snow on all the trails and areas that have snowmaking coverage capabilities – more than 600 acres! Typically our job is done by mid-January. Artificial snow? We don’t have that. We do make the good old fashioned real stuff though – it’s simply man-made vs. falling from the sky. But silly logistics aside, we make enough snow to ensure a base that will last the entire season. A few years ago we spent some hot summer days looking to improve our opening day guest experience. 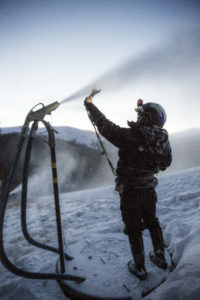 We begin making snow on Schoolmarm to Silverspoon to Last Chance, all beginner trails, which allows more people to ski and ride from day one of the season. This year, for the first time, we set a rather ambitious goal of opening beginner terrain on Dercum and intermediate terrain on North Peak for opening weekend – and guess what, we did it! 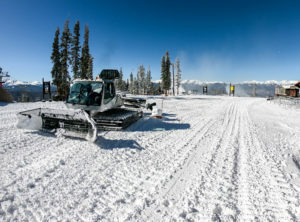 We opened North Peak on our planned opening day Nov. 9th, the first time in Keystone’s history we have been able to do so. Well, there’s this funny thing called a wet bulb temperature. In the most simplistic of terms, we need a combination of low temperatures and low humidity – each as important as the other. Cold and dry is what we’re after, and if you want me to get scientific, (again! ), we want a 27 degree wet bulb temperature. The first ever Ask Key Anything! You asked, and Key answered! Also today! Want to save your spot? 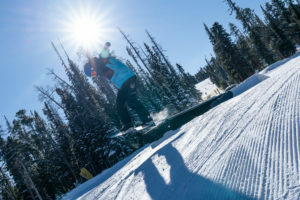 https://www.keystoneresort.com/explore-the-resort/activities-and-events/winter-activities/adventure-point-tubing.aspxWe never want you to miss out on fun, so don’t forget this activity often sells out during weekends and Holidays. Make reservations as early as possible, especially for our high-volume timeframes! Get those triple axles ready, Keystone Lake will open on Nov. 22! And, Dercum rink is already open. We have a lot to be thankful for this week! For those looking hit the terrain park, we are looking to have The Alley to Lower Main Street open starting Friday, Nov. 30. Until then, our early-season A51 terrain park is located on top of Schoolmarm. Check out Go Big Burger at the Mountain House! And we hope you’re bringing your appetite! 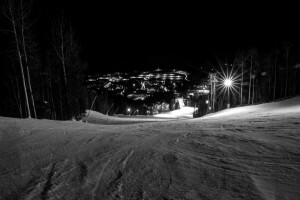 We like to think we’re flexible, but we have night skiing dates set based on historical terrain and weather conditions. But we never say never–remember that time we opened early? We might get an eye roll or two, but we suggest taking a lesson–did you know we offer ½ day privates? Our instructors will teach you the skills to ensure you’re safe and confident in the trees, as well as show you a secret stash or two. Woop, woop! Welcome to the fam! Warm up on Dercum with a run on Schoolmarm, Spring Dipper and then Frenchman. Then, head over to North Peak for Prospector and onto Elk Run (when groomed) on the Outback. Starfire is a good first Black, once you’re feeling confident. Yooohhoooooo! Hope you’re ready to play! 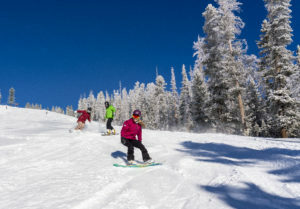 Activities: mountaintop tubing and skating on Keystone Lake. Dining: Go Big Burger and Fondue. This season we’ve eliminated conventional plastic straws at all of our food and beverage outlets and our trail maps are printed on 100% recyclable paper. Just last week our company announced additional steps in our overall ‘Commitment to Zero’, including a long-term wind energy contract to purchase the equivalent amount of electricity needed to power 100 percent of Vail Resorts’ North American operations by 2020. More information about our Commitment to Zero can be found at www.epicpromise.com. You can find us at the Last Lift Bar! Cheers! If pineapple belongs on pizza, it also belongs on french fries! 10:23 a.m. on Jan. 21. We kid, we kid. When is there a bad time to ski? Independence is the official name of the peak, Bergman is after one of our founding families (Dercum being the other) and Erickson has an old mine and mining shack. It was originally Erickson Mine. North and South … well, we might have run out of steam on those two 😉 What names would you give ‘em? I think we’re having an inception moment! We’d be Breck for the amazing town and high alpine terrain, Whistler Blackcomb for the variety of terrain and Olympic heritage, Stowe for the classic New England feel (and the foliage!) and Northstar for that laid back and luxurious California vibe. How about you? Hard to say, really. We raise them that way 😉 But give ‘em a high five when you see ‘em! Shovels were in high demand during the 1995-1996 season as the snow just seemed to keep on falling! That season, we received a total of 387 inches of snow (quick, how many feet is that?! More than 32!) and if you were skiing here in January, then you needed a snorkel as we had 127 inches of snow in that month alone (surprisingly, not the snowiest single month at Keystone though, that was in December of 1983 when we received 128 inches! ).